Over our many years of operation, we have sought and found the best products to support the Maritime legal community. As your proud supplier to the east coast, we ensure that all products are Canadian made, most of them from right here in Halifax. We offer materials of superior quality that will stand the test of time. For your peace of mind, all of our products are backed with a warranty. 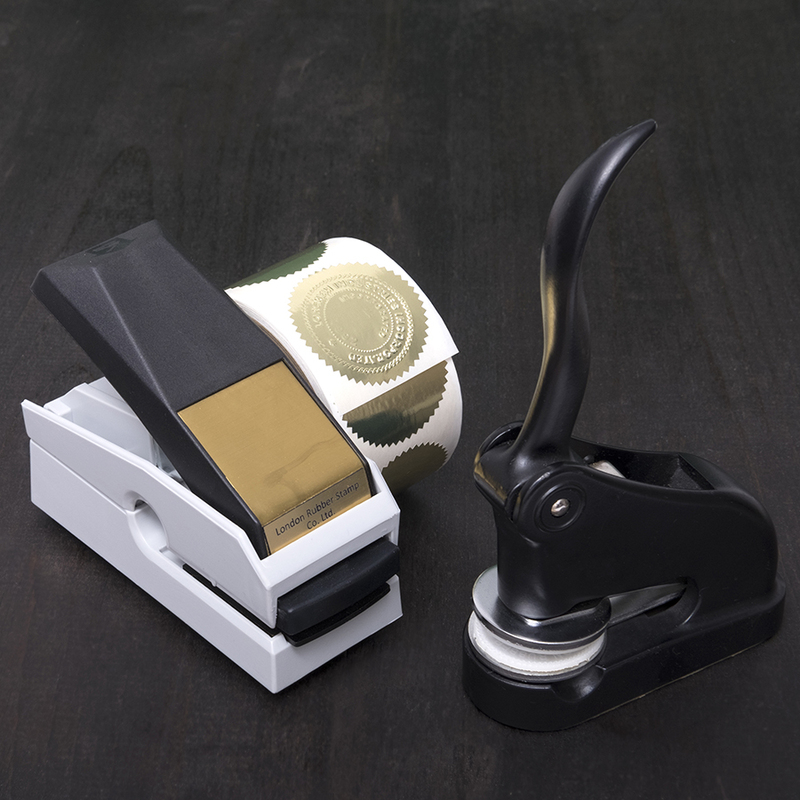 London Rubber Stamp in Halifax carries desk seals, the most identifiable style of embosser that has stood the test of time with few design changes. We are pleased to supply mark maker seals, one of the most popular seals in Canada. This compact and stackable unit stores easily to conserve your much needed office space. 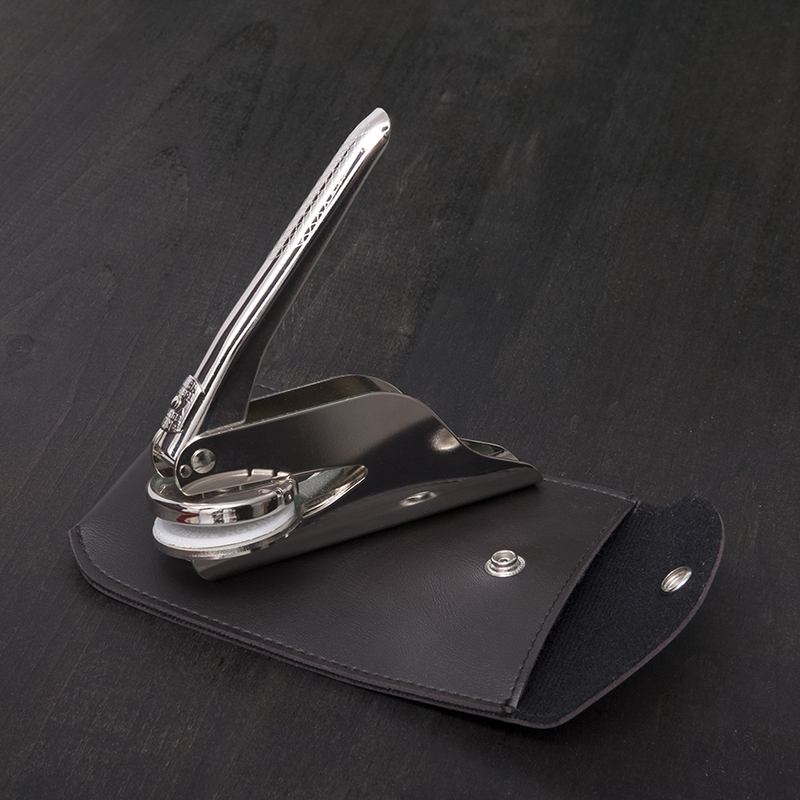 With its sturdy steel construction, portability and value, this embosser comes highly recommended. We are pleased to include a leather case which can easily be tucked into your briefcase or purse. Our pocket seal handles all of your embossing needs with ease and can be conveniently stored on a shelf next to your minute books. This is the most popular of our minute book offerings. These Canadian made, high-quality binders hold letter-sized paper (8” ½ x 11”) and come complete with a set of standard, east coast, 12 bank tabs. 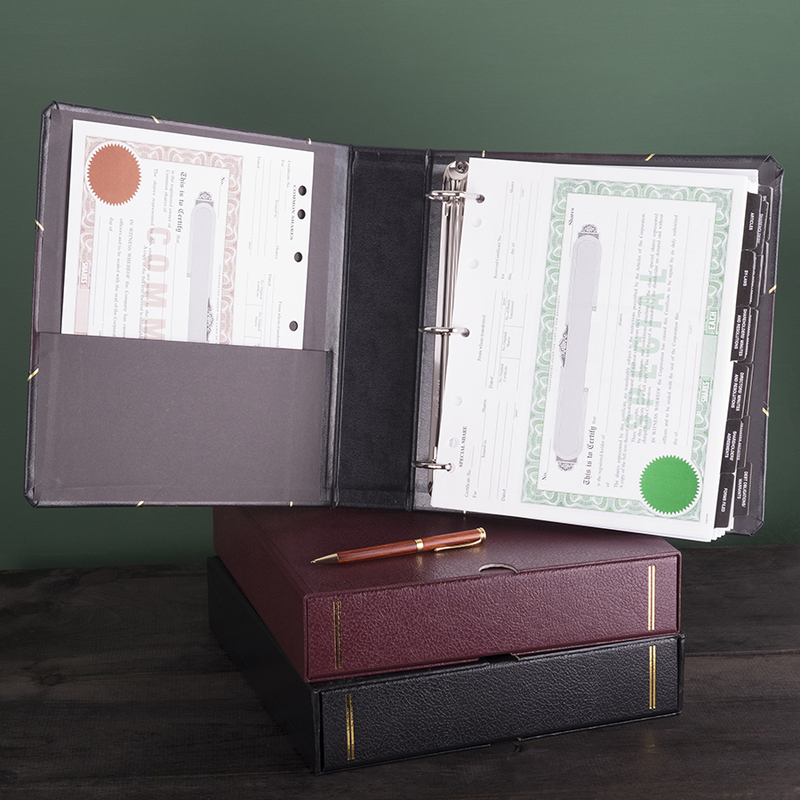 We include ledgers, registers and a brass plate for the corporate name at no extra charge. Books are available in both black and burgundy with a gold tooled border. 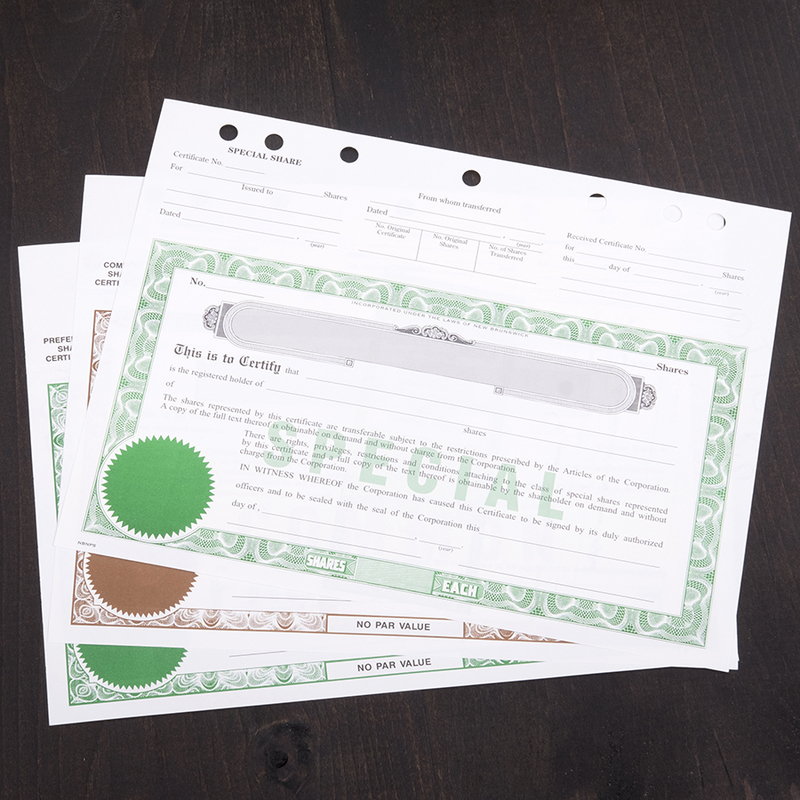 We carry the most widely used pre-printed share certificates in Nova Scotia. Use these certificates from London Rubber Stamp with your legal software printing system and enjoy professional looking results. *All prices are in Candian Dollars. Prices do not include tax.